Twin room or double of 24 m2, bathroom with shower and garden (10 m2) .Includes A / C, continental breakfast. 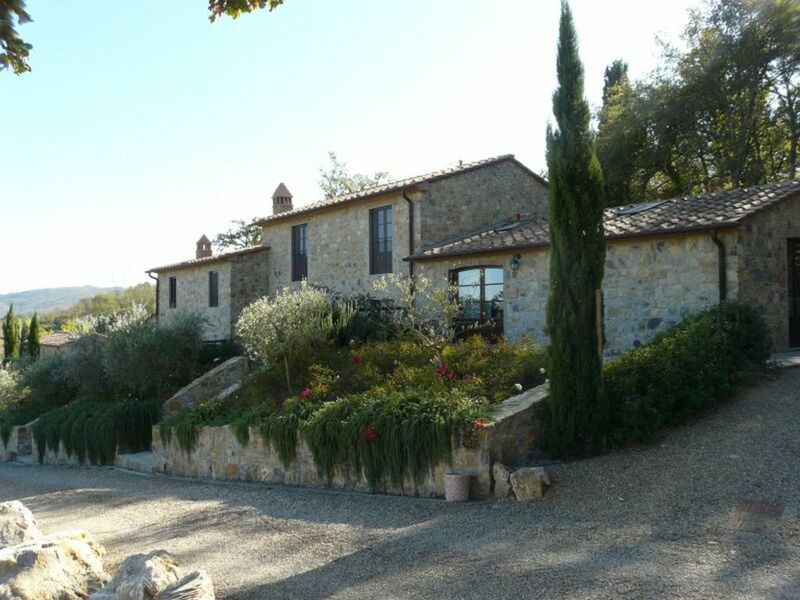 Poggio Cennina is an ideally located property for visiting the most important historical and artistic beauties of Tuscany, 5 kms from Bucine between Siena, Arezzo and Chianti. It consists of 17 units (3 villas, 10 apartments and 4 rooms B & B), surrounded by 85 hectares of organically grown olive trees and vineyards, 40 hectares of forest of tall trees. Each apartment has its own private outdoor space. Distances: 5 km Bucine, Chianti Classico (Gaiole, Radda, Greve, Castellina etc ...) is within 25/60 km, Rapolano Terme 30 km, Arezzo 35 km, Siena 40 km, Florence 70 km, Montepulciano 70 km, the beautiful land of the Val d Orcia (Pienza, San Quirico, Radicofani etc ...) is within 50/80 km, Montalcino 80 km. Tennis court; ligthened football pitch 5 vs 5, gym; turkish bath; 10 mountain bikes; swimming pool with whirlpoor. Air conditioning and mosquito nets in all bedrooms. Internet connection WI-FI available in public areas.